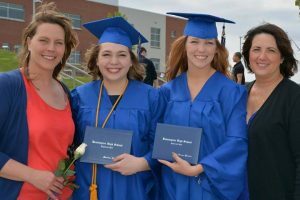 Welcome to the Bennington Public Schools Foundation Alumni Page! The Bennington Public School District is growing at a rapid pace and the Foundation would like to keep in touch with our Bennington alumni! We would like to get to know our alumni better and provide news and support for reunions! The Foundation will provide news about the district and alumni activities through quarterly e-mail newsletters. We will also provide reunion dates and locations on our website. So that we can keep an updated Alumni contact list, please provide your current information by completing the on-line form below or send an e-mail to Executive Director, Regina Meradith at rmeradith@bennps.org.